As the sky issued another wave of blustery white snow this afternoon my default face frown brightened into something resembling a grin. A sign materialized out of the misty gloom to declare: Baby chicks are here! I immediately took the following right turn and circled the block until I found myself parking in front of the farming supply store. 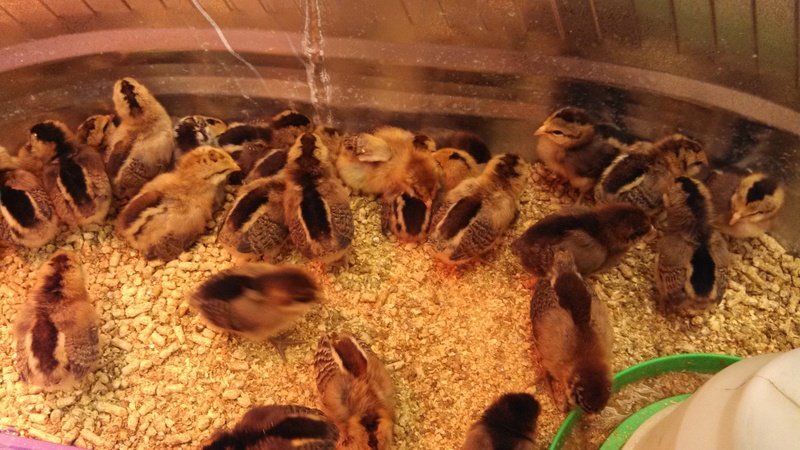 After this winter, I needed the hope of peeping baby chicks more than ever, so I zipped up my coat and followed the sound to a far corner where they pecked at feed under giant warming lamps. There were several bathtub sized tin bins filled with different varieties by breed: some black, some tan, some mixed. I just stood and watched them awhile, comforted that spring would in fact be coming.